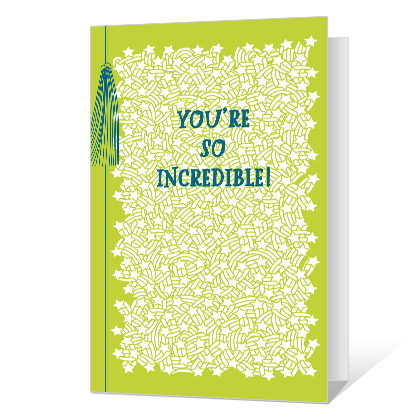 Cover Verse: You're so incredible! Inside Verse: You never cease to amaze with the way you work so hard to make your dreams a reality. So proud of everything you've accomplished. And even prouder of the extraordinary person you are.